THIS IS A MUST-WATCH Drive Across Texas episode of Wild Rag Vodka with Host Country Music Singer, Pat Waters! Drive Across Texas Show will soon be airing on StrykTv throughout Texas and beyond - Stay tuned and watch this clip!!! Wild Rag Vodka on Chili Con Chili: Chef/Comedian Matt Stacey Stevens’ Social Media Chili Con Chili show is a must-watch! Matt is a great Chef currently preparing to launch his television cooking show but in the meantime, Matt shares his cooking and comedy skills on his social media platform (Facebook). Matt has different guests every Sunday evening and Royel Aguilar was the guest appearance this past Sunday. Matt prepared a delicious Wild Rag Vodka Lemon Chicken (vodka) dish and it was awesome! Tune in every Sunday at 7:00pm on Matt Stacey Steven’s Chili Con Chili. (disclaimer: pardon the wifi glitch toward the end of the show). Wild Rag Vodka, distilled in nearby Sandia, is putting South Texas spirits on the map. The vodka, which is made at the South Texas Distillery by Master Distiller Royel Aguilar, is gaining national fame for its smooth taste and unique ingredients.” Click here for full article. Wild Rag Vodka on the Red Carpet in Vegas! Pat Waters Hosted The 2018 Producers Choice Honors Awards at Hard Rock Live in Las Vegas where Wild Rag Vodka was featured and served. 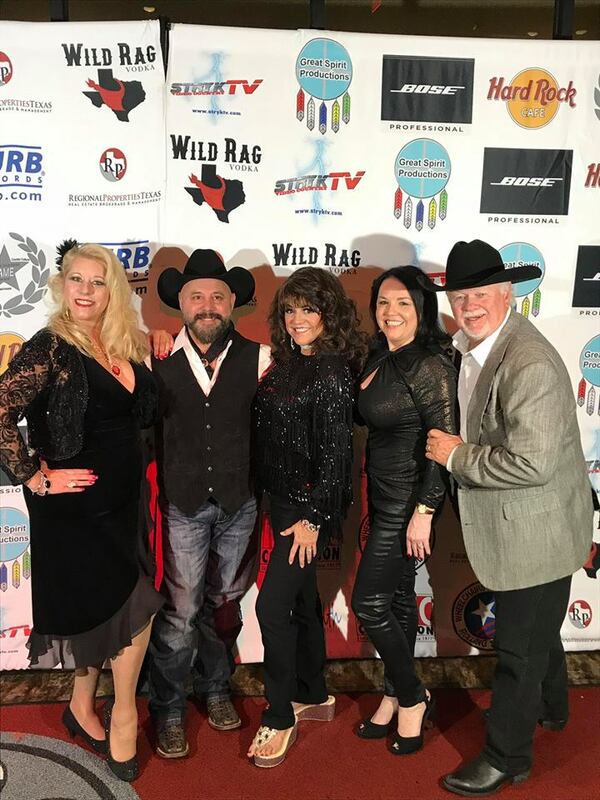 Pat Waters performed his NEW SONG entitled "WILD RAG VODKA NIGHT" recently released and now airing on Texas radio stations. Wild Rag Mesquite Bean Vodka presented to Legendary Rock Star Lita Ford at the 2018 Producers Choice Honors Awards at Hard Rock Cafe Live in Las Vegas! WILD RAG VODKA on THE RED CARPET at at the 2018 Producers Choice Honors Awards at Hard Rock Cafe Live in Las Vegas! Click here for more Wild Rag Vodka Red Carpet Photos. Robert Miguel of Robert Miguel Radio interviews Royel Aguilar, Master Distiller of South Texas Distillery, Home of Wild Rag Vodka featuring Hispanic Heritage Month. Listen in. Have you heard Pat Waters' "Wild Rag Vodka Night" song! Pat Waters released Wild Rag Vodka Night and immediately aired on 97.5 KFTX Real Country Radio. Download your copy on iTunes, cdbaby, and on Pat Waters' webpage. HaciendaSouthTexas' Courtney & Emily's blog featured Wild Rag Vodka: Click here for this great post! When a good friend told me he was investing in a local vodka distillery outside of Corpus Christi I grabbed Emily and went on a quest to check this out. Not being a vodka drinker myself I arrived with an open mind. When we pulled up to the Sandia distillery we were immediately charmed by the Tasting Room and Lupita Aguilar’s warm welcome. You see her husband Royel Aguilar has turned their property into a full-blown vodka distillery after years of nurturing his passion for cooking and a prior run at making his own wine. Wild Rag Vodka offers three flavors – regular vodka, Texas Torch (a cinnamon flavor) and mesquite bean, and they are the only vodka distiller in the world to make and offer the latter. You can purchase their vodka at local liquor stores and restaurants listed here, or better yet grab some amigos and go check out their tasting room! See their hours of operation here. This is a fun little excursion off the beaten path." "A Menu for the Centuries"
Pat Waters' Acceptance Speech with a "Thank You" to Wild Rag! 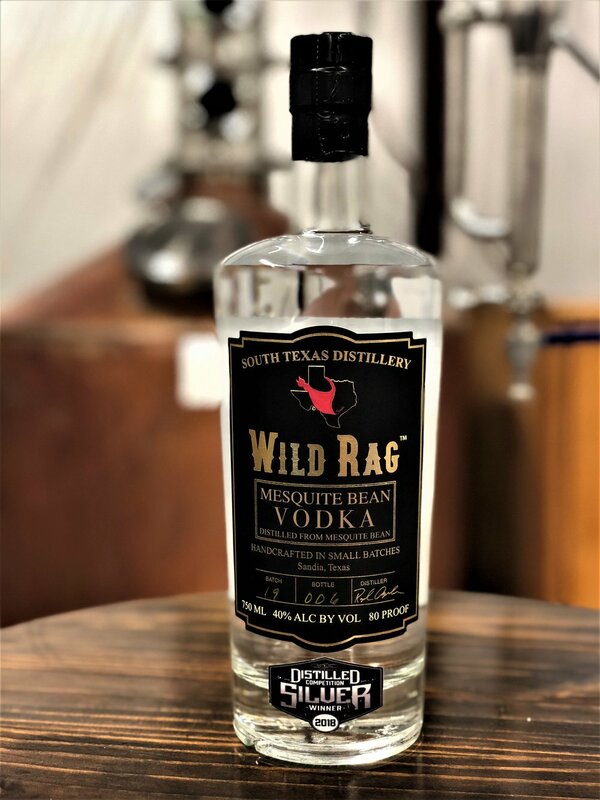 South Texas Distillery Home of Wild Rag Vodka wins the Silver Medal in San Diego California's 2018 Distilled Spirits Competition! See it here - KRISTV with Lee Sausley. ALICE ECHO NEWS - "Sandia Distillery wins 2018 distillery competition". (click here for full story). 2018 Silver Medal Award Winner - Mesquite Bean Vodka: 2018 San Diego California's Spirit Competition. CORPUS CHRISTI CALLER TIMES features "Your guide to 5 breweries in Corpus Christi. South Texas Distillery Home of Wild Rag Vodka. And we make our own vodka in South Texas, too. South Texas Distillery Home of Wild Rag Vodka opened in 2016 in Sandia." (Click here for full story). Sunday, APRIL 9, 2017. Click here to view full video clip. 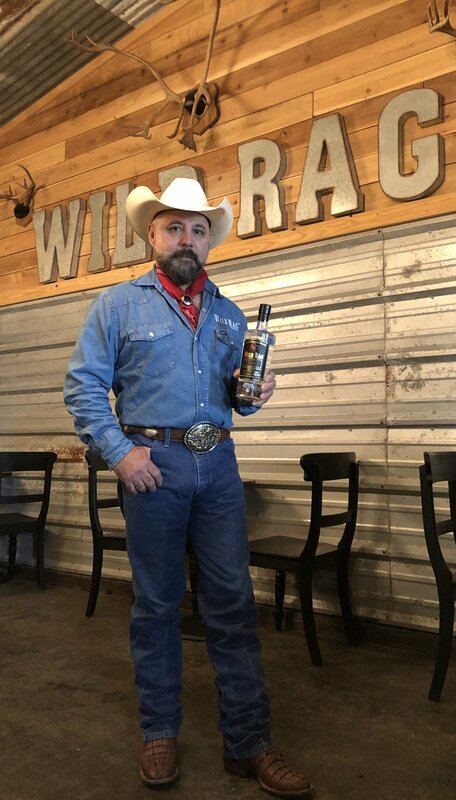 "What The COWBOYS Drink - Wild Rag® Vodka"
"Sandia native opens first distillery in South Texas"
"Sandia's Wild Rag® Vodka to be distributed by L&F Distributers"
"Where the Wild spirits are"
ShotsBox Promoting Wild Rag Vodka in California! COPYRIGHT 2016 - Royel Aguilar - Sandia, Texas - All rights reserved.